Most people eventually tire of watching the same old goldfish swimming around in the bowl that they won at the local Fair and will start looking for something a little bit more exotic. If you know where to go and what species to look for, you will be able to find many brilliant gems from the deep that will brighten up your home and provide your family with hours of enjoyment. There are more types of brilliantly colored exotic tropical fish available to tropical fish keeping enthusiasts than you could ever imagine. Many exotic fish have strange body shapes, weird breeding rituals, odd colorations and are found in sizes that can be kept in an aquarium environment with very little effort. Exotic fish are hard to define. There are so many fish species that are different from what we are normally used to seeing that we often refer to them as “exotics”. Usually fish that are rare or hard to find have this distinction. But, fish that are interbred to keep certain specific characteristics (like Discus, show Koi, Guppies or Angelfish) are also placed into this category. 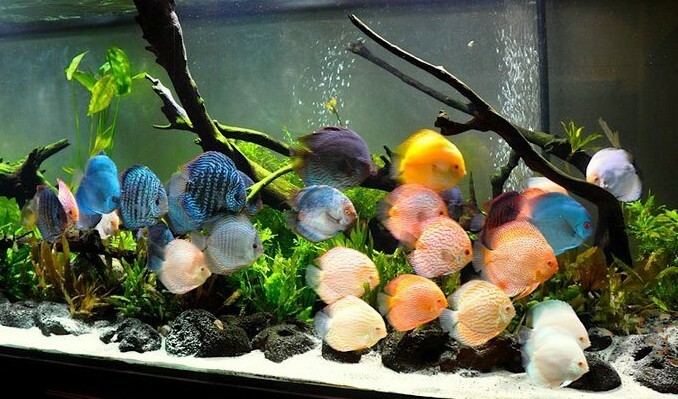 Discus – Discus are a flat, wide, brilliantly colored freshwater fish named after the discus used in the Olympic Games in Greece. These shy fish come from the Amazon River Basin and easily get along with others of their kind in an aquarium setting. They come in a variety of colors and patterns and are tank bred to enhance these characteristics. 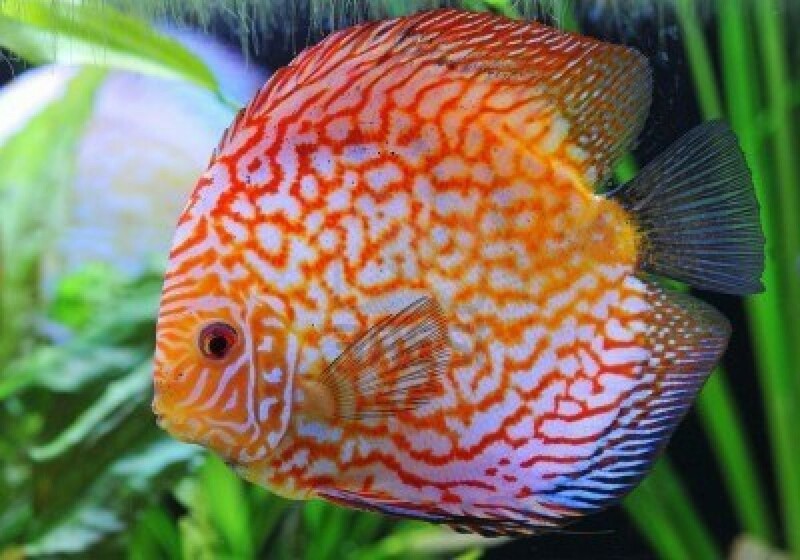 Discus are sensitive to water quality changes, prefer soft water (pH level of 6) and temperatures at a constant 82 to 86 degrees F. Discus fish thrive in deep water and because they can grow up to 7 inches long, they are not usually found alone in community tanks but in rather large aquariums. 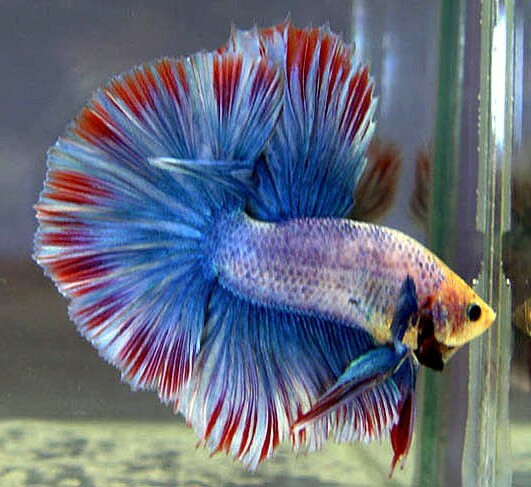 Betta – Betta fish are beautiful and quite aggressive. Bettas are VERY territorial toward any fish that they think is another male Betta and they will fight other male betta fish to the death if left unattended. Their beautiful coloring extends to their feathery fins and as they swim, their fins will open up to an even more beautiful show. 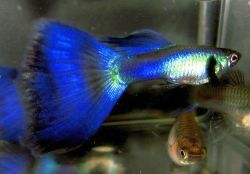 Betta fish come in a variety of colors (primarily blue and red) are because of their coloring, choosing betta fish that are healthy can be a challenge. Look for fish with no bruising, scarring or white spots which is an indication of ich. Guppies – People have always loved keeping guppies. These small hardy fish with brightly colored tail fins resemble a bride in a tight dress with a flared bottom. The various types (Tuxedo, Cobra, Mosaic, Grass, Metal, Platinum) come in almost every color of the rainbow, are easy to care for, easy to breed and do especially well in community aquariums. Female guppies generally grow larger than the males, sometimes by about two or three inches. For the fish keeper on a tight budget, they do well in a 10 gallon aquarium, will eat almost any type of fish flake and thrive with minimal care. Guppies are another exotic tropical fish that have been interbred to achieve specific skin and color patterns. A true rare beauty from the deep. Platy – Platys are a hearty tropical freshwater fish that thrive in community tank conditions. Platy fish have dark colored fins that outline their beautiful red, yellow and orange colored bodies. Because Platys can tolerate wide changes in nitrate and nitrite levels, they are a good fish to use for stocking and cycling a new aquarium. They thrive do best with tank vegetation planted to hide their eggs when they breed. Goldfish – Goldfish should not be counted out of the exotic tropical fish category just yet. 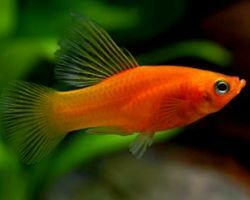 There are goldfish species that are very exotic and bring a high price, especially in the Chinese and Japanese markets. Consider the Black Moor, the various types of Koi and other inbred goldfish varieties. 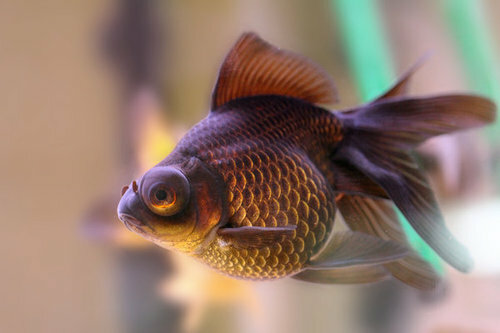 The Black Moor is a round bodied goldfish with bulging eyes and long velvety tail fins. It is a telescope-eyed variety of fancy goldfish that has a characteristic pair of protruding eyes. It is also referred to as popeye, telescope, kuro demekin in Japan and dragon-eye in China. They can grow up to a length of 10 inches and have a lifespan of 6 to 25 years. Black Moors are a cold water fish and may revert to a metallic orange color when exposed to warm water temperatures. Angelfish – Angelfish are a tropical freshwater and saltwater species prized by tropical fish keepers. The freshwater Angelfish is a cichlid that comes from the Amazon Basin of South America and is one of the most commonly kept freshwater aquarium fish. They are prized for their unique shape, color patterns and behavior. 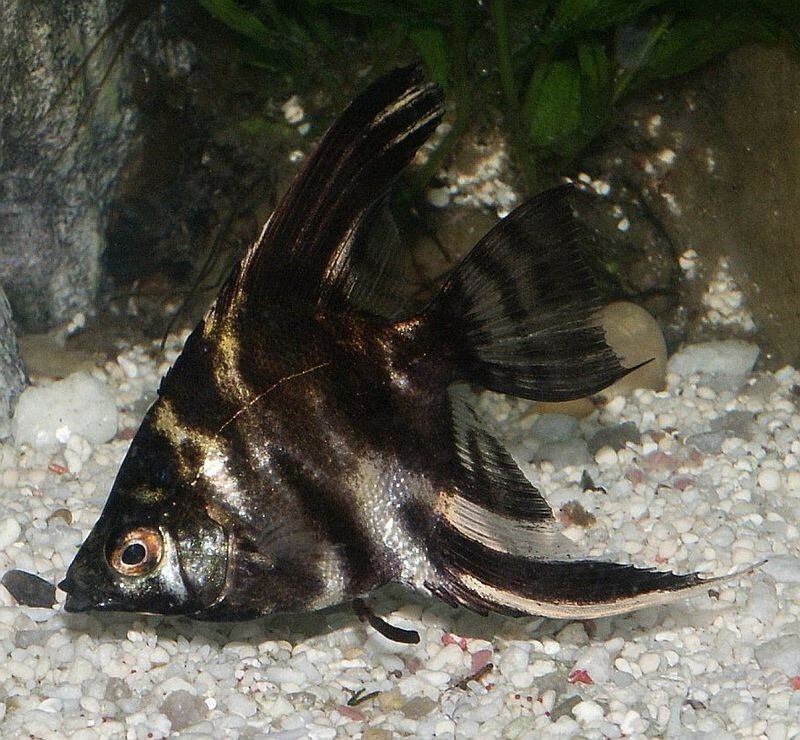 Angelfish were not successfully bred in captivity in the United States until the late 1920s to 1930s, but now are frequently bred to enhance their distinct fin patterns and unique color markings. Regardless of what type of exotic tropical fish you like, there is a variety that will liven up your tank for beginners as well as those more expert in Tropical Fish Keeping.